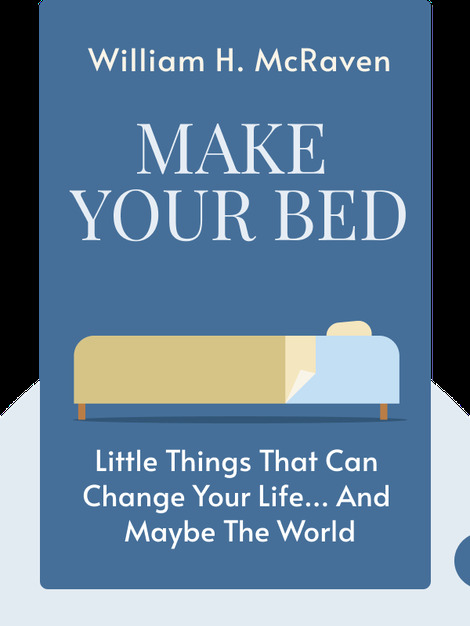 Make Your Bed (2017) is a collection of the author’s ten most valuable personal experiences during his many years of service with the US Navy SEALs. Each is a simple yet priceless piece of advice that will have a positive influence on your life. 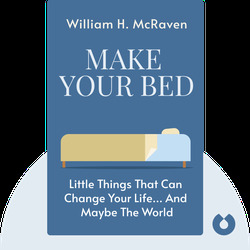 William H. McRaven is a retired four-star US Navy SEAL admiral. During his 37 years of service, McRaven experienced quite a lot, both in training and in battle. He has led troops in both Iraq and Afghanistan.